Yauatcha Soho, London | ivy eats again. It is hard to associate fine dining with Chinese food especially in London, it is immediately linked to greasy takeaway food. Chinese fine dining in China is like French fine dining in France, it is a finesse show but once it is moved abroad the performance is just not the same. 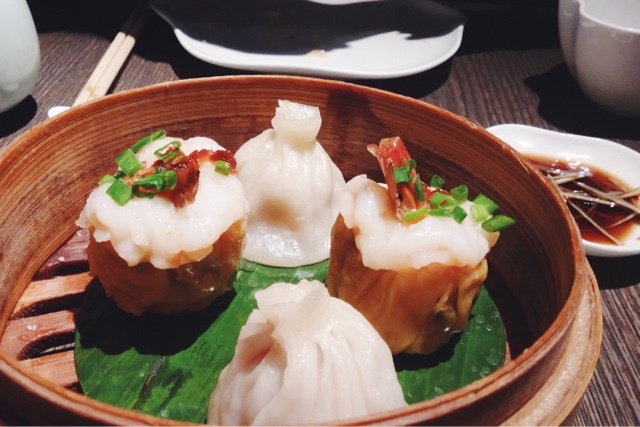 Located on Broadwick Street in Soho, sit a one Michelin star "contemporary Chinese dim sum tea house" Yauatcha. 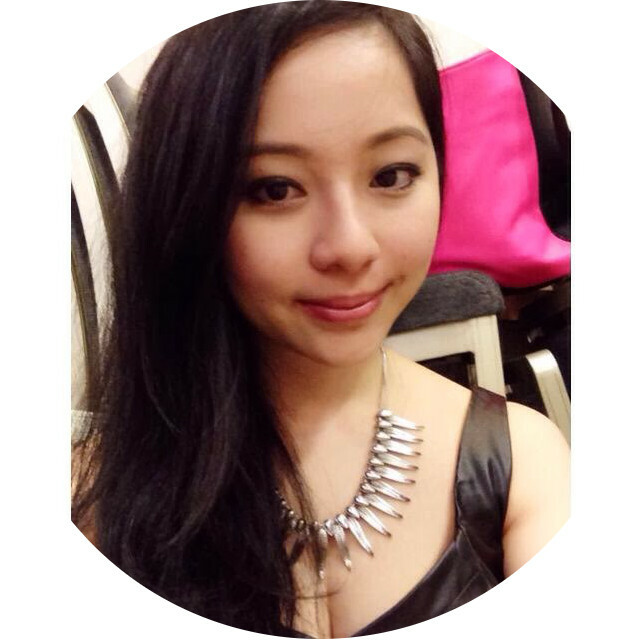 For a Chinese restaurant, the décor is very contemporary and sleek with a touch of Chinese origins. We were led down to the basement which is much darker and louder, a bit of nightclub vibe to it. If you're not here to eat, the array of patisseries on display will definitely draw you in. Like all dim sum place, there will always be condiments of soy sauce, chilli oil and chilli sauce on the table. I tried the chilli oil, although it is not spicy enough it is a good chilli oil that's fragrant and the chilli flakes was crispy. 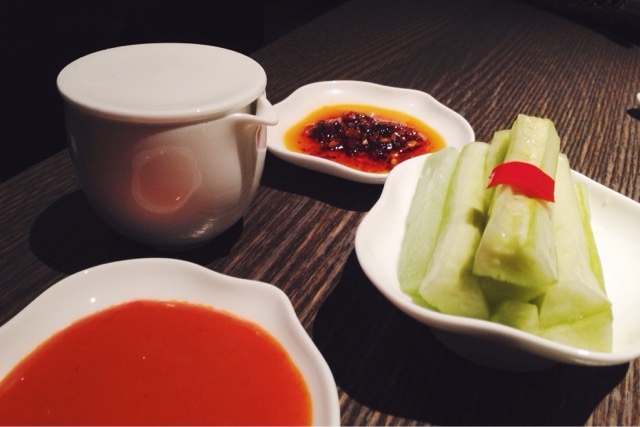 A plate of refreshing pickled cucumber was served as a nibble. It was very crunchy and sweet, perhaps a bit tang to it would be even better. For the meal, we choose the special "Taste of Yauatcha" menu which is only served Monday - Thursday from 2pm - 4pm. 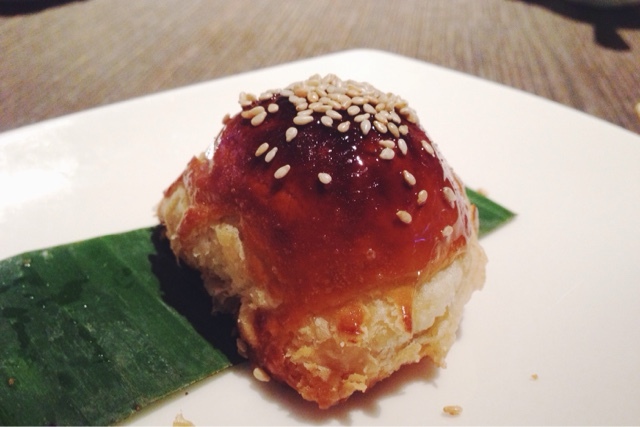 I've heard a lot about the baked venison puff at Yauatcha, and it sure did not disappoint me. 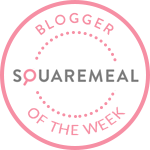 It is Yauatcha's take on the classic barbecued roast pork puff, replacing the pork with the flavoursome venison in a thick yet rich sauce. The pastry was light and fluffy, it was heavenly and sure do they not slack on the amount of filling inside. The spring roll was a winner (and the venison puff), crispy on outside to the point of a cracking sound when biting into it and filled with earthy truffle taste. It's very rare to find a whole prawn in a shui mai(or siu mai) nowadays, I do like it with pork rather than chicken that is used here. It lacks the chewiness and the fattiness which the traditional shui mai needs. The siew long bun(or xiao long bao) is good, the skin is thin enough that the juice does not leak out and there was a fair bit of crab meats in the filling. It still does not beat the xiao long bao from Din Tai Fung and it has to be from the original Taiwan store. 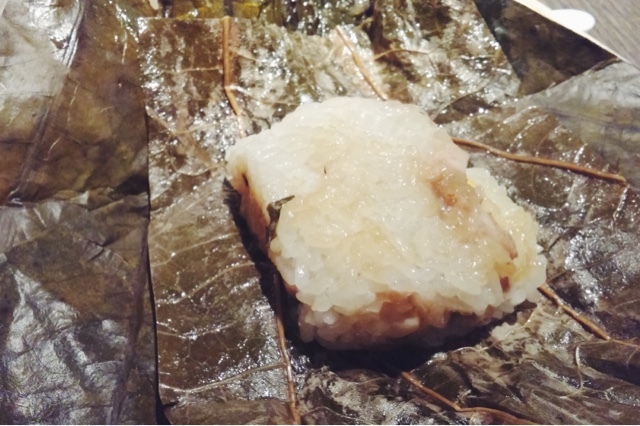 There are always some firm favourite items that are must ordered at dim sum, sticky rice in lotus leaf is one of them. Yauatcha's version is a slight disappointment, not enough filling of chicken and dried shrimp. Traditionally, I don't remember it has dried shrimp in it. 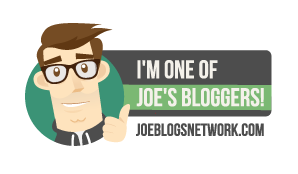 This was a bit bland for me. My dear mother can seem to make a much tastier version than Yauatcha. 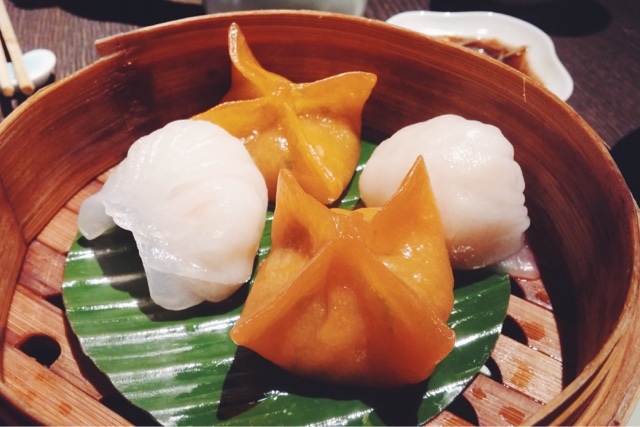 For both the dumpling and har gau, the skin is thin and translucent with the right texture of elasticity and chewiness as some places it can taste starchy and can break easily. The har gau actually has a whole prawn in it and no pork with a mixed of some bamboo shoots for added crunch. The filling of the crystal dumpling tasted like that of a teochew dumpling (which has nuts in it traditionally), didn't really get the pumpkin flavour out of the skin but I think it is used to get the colour rather than the flavour. 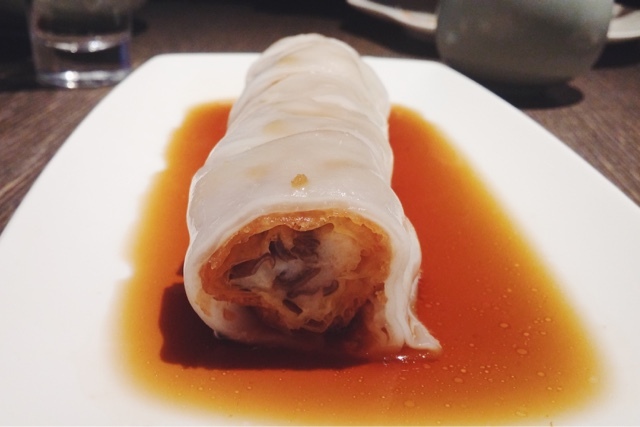 Cheung fun is all about the texture, firm filling of minced prawns is wrapped with crispy beancurd skin which in turn is wrapped with silky smooth rice roll. This sort of resembled an extreme version of the crispiness you get from the youtiao cheung fun (zhaliang), I needed a hoisin sauce to go with it but then I remembered it wasn't a zhaliang that I was eating. The rice roll is by far one of the best in London, silky smooth and thin. The set menu came with one pot of tea to share, for two tea advocates one pot will not justify our curiosity into their large selection of tea. Tian Hong (or Dian Hong or more commonly known as Yunnan tea) is a relatively high end gourmet black tea from the Yunnan province. Tian Hong teas produces a brew that is brassy golden orange in colour with a sweet, gentle aroma and no astringency. I found the taste did not really match dim sum, probably better suited to afternoon tea. 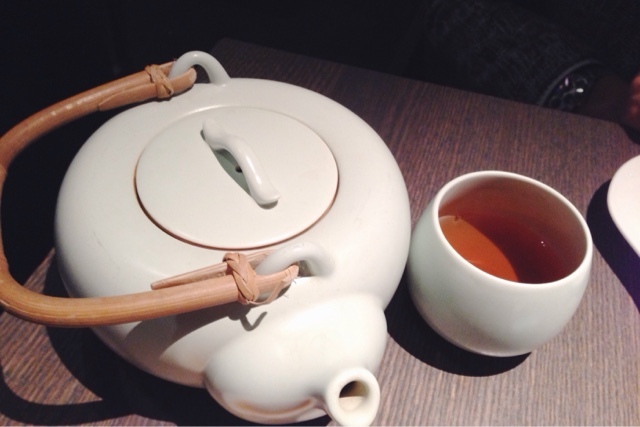 Oriental Beauty (or Dongfang Meiren) is a variation of Oolong produced in Hsinchu County, Taiwan. Light fruity aroma with a sweet tasting. 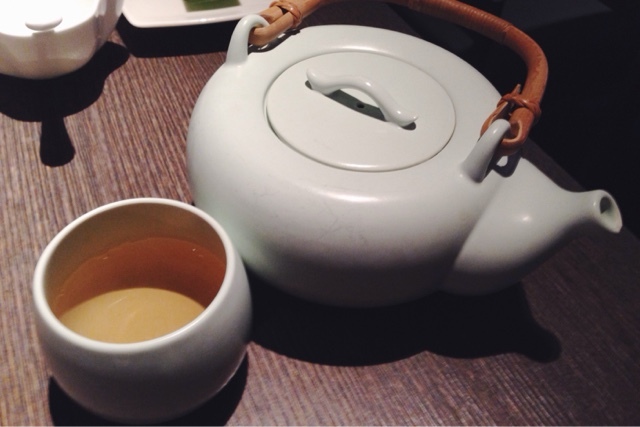 My only criticism is why cannot the tea leaves remind in the tea pot? I want a stronger taste of tea. 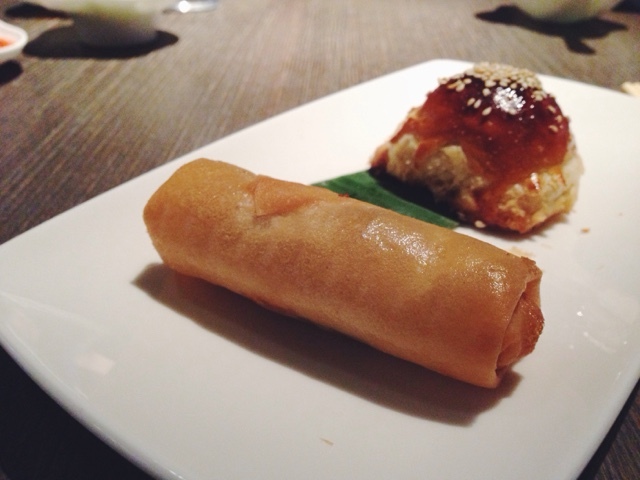 I liked the dim sum at Yauatcha with the use of more exotic ingredients, and the details to the dim sum outlook. The service was attentive but felt a bit rush, there was a bit of miscommunication on the tea but was solved on hand. This was my first time in a Chinese restaurant with no Chinese attendants (I did not spot any) which may seems a bit strange at first. Being a Chinese you would want to order the food speaking in Chinese. I do wish eating dim sum that most are served roughly at the same time not one dish after another dish. I will sure to return to sample more dim sum as the "Taste of Yauatcha" did not fully satisfied my Yauatcha experience.